Battleground Kia is offering up the Triads Best Value with our 3 month & 3,000 miles Warranty on all of our Pre-Owned Vehicles.Recent Arrival! CARFAX One-Owner. Clean CARFAX.CARFAX ONE OWNER, BLUETOOTH, MP3, ABS brakes, Electronic Stability Control, Illuminated entry, Low tire pressure warning, Traction control.2016 Toyota Tacoma SR BlackAwards:* 2016 KBB.com Best Buy Awards Finalist * 2016 KBB.com Best Resale Value AwardsOur mission is to present Internet Value Pricing to all of our customers. We guarantee the lowest prices in NC on all new Kias! Buy your new Kia with confidence from a Kia President's Award winner! We have the Carolina's largest Kia selection and the best customer service! Check out our 4.7 Google rating to see what our customers have to say about our easy purchase process! Internet Value Pricing is achieved by polling over 2k websites hourly. This ensures that every one of our customers receives real-time Internet Value Pricing on every vehicle we sell. We do not artificially inflate our prices. We do not play pricing games. After being in business for many years, we realize that Internet Value Pricing is by far the best approach for our customers. * GREENSBORO'S USED CAR VOLUME LEADER * BATTLEGROUND KIA is the Carolina's low price leader! We Want your trade-in! Before you sell your trade-in to www.carmax.com or list it for sale on www.autotrader.com or www.ebay.com, call one of our internet managers for an online trade evaluation at 1-877-751-6303 we will pay you $300.00 more than CarMax. We are conveniently located at 2927 Battleground Ave. Greensboro N.C. 27408. All prices are after all incentives from Kia included to but not limited to: military, college grad ,customer loyalty ,competitive , bonus cash etc. All prices are plus tax, tags and 599.50 dealer admin feE. Battleground Kia is offering up the Triads Best Value with our 3 month & 3,000 miles Warranty on all of our Pre-Owned Vehicles.CARFAX One-Owner. Clean CARFAX.LEATHER, CARFAX ONE OWNER, BLUETOOTH, MP3, Manager's Special!, 2017 Jeep Grand Cherokee, Extended Warranty Available.2017 Jeep Grand Cherokee Limited Billet Silver Metallic ClearcoatAwards:* 2017 KBB.com 10 Most Awarded BrandsOur mission is to present Internet Value Pricing to all of our customers. We guarantee the lowest prices in NC on all new Kias! Buy your new Kia with confidence from a Kia President's Award winner! We have the Carolina's largest Kia selection and the best customer service! Check out our 4.7 Google rating to see what our customers have to say about our easy purchase process! Internet Value Pricing is achieved by polling over 2k websites hourly. This ensures that every one of our customers receives real-time Internet Value Pricing on every vehicle we sell. We do not artificially inflate our prices. We do not play pricing games. After being in business for many years, we realize that Internet Value Pricing is by far the best approach for our customers. * GREENSBORO'S USED CAR VOLUME LEADER * BATTLEGROUND KIA is the Carolina's low price leader! We Want your trade-in! Before you sell your trade-in to www.carmax.com or list it for sale on www.autotrader.com or www.ebay.com, call one of our internet managers for an online trade evaluation at 1-877-751-6303 we will pay you $300.00 more than CarMax. We are conveniently located at 2927 Battleground Ave. Greensboro N.C. 27408. All prices are after all incentives from Kia included to but not limited to: military, college grad ,customer loyalty ,competitive , bonus cash etc. All prices are plus tax, tags and 599.50 dealer admin feE. Battleground Kia is offering up the Triads Best Value with our 3 month & 3,000 miles Warranty on all of our Pre-Owned Vehicles.CARFAX One-Owner. Clean CARFAX.Priced below KBB Fair Purchase Price! LEATHER, SUNROOF / MOONROOF, GPS / NAVIGATION, CARFAX ONE OWNER, BLUETOOTH, MP3, Manager's Special!, 2018 Dodge Durango, Extended Warranty Available.2018 Dodge Durango GT Billet Clearcoat 19/26 City/Highway MPGOur mission is to present Internet Value Pricing to all of our customers. We guarantee the lowest prices in NC on all new Kias! Buy your new Kia with confidence from a Kia President's Award winner! We have the Carolina's largest Kia selection and the best customer service! Check out our 4.7 Google rating to see what our customers have to say about our easy purchase process! Internet Value Pricing is achieved by polling over 2k websites hourly. This ensures that every one of our customers receives real-time Internet Value Pricing on every vehicle we sell. We do not artificially inflate our prices. We do not play pricing games. After being in business for many years, we realize that Internet Value Pricing is by far the best approach for our customers. * GREENSBORO'S USED CAR VOLUME LEADER * BATTLEGROUND KIA is the Carolina's low price leader! We Want your trade-in! Before you sell your trade-in to www.carmax.com or list it for sale on www.autotrader.com or www.ebay.com, call one of our internet managers for an online trade evaluation at 1-877-751-6303 we will pay you $300.00 more than CarMax. We are conveniently located at 2927 Battleground Ave. Greensboro N.C. 27408. All prices are after all incentives from Kia included to but not limited to: military, college grad ,customer loyalty ,competitive , bonus cash etc. All prices are plus tax, tags and 599.50 dealer admin feE. Battleground Kia is offering up the Triads Best Value with our 3 month & 3,000 miles Warranty on all of our Pre-Owned Vehicles.Recent Arrival! CARFAX One-Owner. Clean CARFAX.LEATHER, SUNROOF / MOONROOF, !!! Kia Certified! 10Year/100k Mile Warranty !! !, CARFAX ONE OWNER, BLUETOOTH, MP3, Manager's Special!, 2016 Kia Sorento, Extended Warranty Available.2016 Kia Sorento SXL Snow White PearlAwards:* 2016 KBB.com 10 Best SUVs Under $25,000Our mission is to present Internet Value Pricing to all of our customers. We guarantee the lowest prices in NC on all new Kias! Buy your new Kia with confidence from a Kia President's Award winner! We have the Carolina's largest Kia selection and the best customer service! Check out our 4.7 Google rating to see what our customers have to say about our easy purchase process! Internet Value Pricing is achieved by polling over 2k websites hourly. This ensures that every one of our customers receives real-time Internet Value Pricing on every vehicle we sell. We do not artificially inflate our prices. We do not play pricing games. After being in business for many years, we realize that Internet Value Pricing is by far the best approach for our customers. 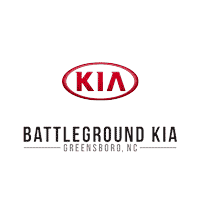 * GREENSBORO'S USED CAR VOLUME LEADER * BATTLEGROUND KIA is the Carolina's low price leader! We Want your trade-in! Before you sell your trade-in to www.carmax.com or list it for sale on www.autotrader.com or www.ebay.com, call one of our internet managers for an online trade evaluation at 1-877-751-6303 we will pay you $300.00 more than CarMax. We are conveniently located at 2927 Battleground Ave. Greensboro N.C. 27408. All prices are after all incentives from Kia included to but not limited to: military, college grad ,customer loyalty ,competitive , bonus cash etc. All prices are plus tax, tags and 599.50 dealer admin feE. Battleground Kia is offering up the Triads Best Value with our 3 month & 3,000 miles Warranty on all of our Pre-Owned Vehicles.Recent Arrival! CARFAX One-Owner. Clean CARFAX.LEATHER, SUNROOF / MOONROOF, GPS / NAVIGATION, !!! Kia Certified! 10Year/100k Mile Warranty !! !, CARFAX ONE OWNER, BLUETOOTH, MP3, Manager's Special!, 2016 Kia Sorento, Extended Warranty Available.2016 Kia Sorento SX Titanium Silver Odometer is 6153 miles below market average!Awards:* 2016 KBB.com 10 Best SUVs Under $25,000Our mission is to present Internet Value Pricing to all of our customers. We guarantee the lowest prices in NC on all new Kias! Buy your new Kia with confidence from a Kia President's Award winner! We have the Carolina's largest Kia selection and the best customer service! Check out our 4.7 Google rating to see what our customers have to say about our easy purchase process! Internet Value Pricing is achieved by polling over 2k websites hourly. This ensures that every one of our customers receives real-time Internet Value Pricing on every vehicle we sell. We do not artificially inflate our prices. We do not play pricing games. After being in business for many years, we realize that Internet Value Pricing is by far the best approach for our customers. * GREENSBORO'S USED CAR VOLUME LEADER * BATTLEGROUND KIA is the Carolina's low price leader! We Want your trade-in! Before you sell your trade-in to www.carmax.com or list it for sale on www.autotrader.com or www.ebay.com, call one of our internet managers for an online trade evaluation at 1-877-751-6303 we will pay you $300.00 more than CarMax. We are conveniently located at 2927 Battleground Ave. Greensboro N.C. 27408. All prices are after all incentives from Kia included to but not limited to: military, college grad ,customer loyalty ,competitive , bonus cash etc. All prices are plus tax, tags and 599.50 dealer admin feE. Battleground Kia is offering up the Triads Best Value with our 3 month & 3,000 miles Warranty on all of our Pre-Owned Vehicles.CARFAX One-Owner. Clean CARFAX.LEATHER, SUNROOF / MOONROOF, GPS / NAVIGATION, CARFAX ONE OWNER, BLUETOOTH, MP3, Manager's Special!, 2017 Nissan Maxima, Extended Warranty Available.2017 Nissan Maxima Platinum Brilliant Silver Odometer is 5390 miles below market average! 21/30 City/Highway MPGAwards:* 2017 KBB.com Best Resale Value AwardsOur mission is to present Internet Value Pricing to all of our customers. We guarantee the lowest prices in NC on all new Kias! Buy your new Kia with confidence from a Kia President's Award winner! We have the Carolina's largest Kia selection and the best customer service! Check out our 4.7 Google rating to see what our customers have to say about our easy purchase process! Internet Value Pricing is achieved by polling over 2k websites hourly. This ensures that every one of our customers receives real-time Internet Value Pricing on every vehicle we sell. We do not artificially inflate our prices. We do not play pricing games. After being in business for many years, we realize that Internet Value Pricing is by far the best approach for our customers. * GREENSBORO'S USED CAR VOLUME LEADER * BATTLEGROUND KIA is the Carolina's low price leader! We Want your trade-in! Before you sell your trade-in to www.carmax.com or list it for sale on www.autotrader.com or www.ebay.com, call one of our internet managers for an online trade evaluation at 1-877-751-6303 we will pay you $300.00 more than CarMax. We are conveniently located at 2927 Battleground Ave. Greensboro N.C. 27408. All prices are after all incentives from Kia included to but not limited to: military, college grad ,customer loyalty ,competitive , bonus cash etc. All prices are plus tax, tags and 599.50 dealer admin feE. Battleground Kia is offering up the Triads Best Value with our 3 month & 3,000 miles Warranty on all of our Pre-Owned Vehicles.Recent Arrival! CARFAX One-Owner. Clean CARFAX.BLUETOOTH, MP3, Manager's Special!, 2018 Kia Sedona, Extended Warranty Available.2018 Kia Sedona LX Silky Silver Odometer is 5620 miles below market average!Our mission is to present Internet Value Pricing to all of our customers. We guarantee the lowest prices in NC on all new Kias! Buy your new Kia with confidence from a Kia President's Award winner! We have the Carolina's largest Kia selection and the best customer service! Check out our 4.7 Google rating to see what our customers have to say about our easy purchase process! Internet Value Pricing is achieved by polling over 2k websites hourly. This ensures that every one of our customers receives real-time Internet Value Pricing on every vehicle we sell. We do not artificially inflate our prices. We do not play pricing games. After being in business for many years, we realize that Internet Value Pricing is by far the best approach for our customers. * GREENSBORO'S USED CAR VOLUME LEADER * BATTLEGROUND KIA is the Carolina's low price leader! We Want your trade-in! Before you sell your trade-in to www.carmax.com or list it for sale on www.autotrader.com or www.ebay.com, call one of our internet managers for an online trade evaluation at 1-877-751-6303 we will pay you $300.00 more than CarMax. We are conveniently located at 2927 Battleground Ave. Greensboro N.C. 27408. All prices are after all incentives from Kia included to but not limited to: military, college grad ,customer loyalty ,competitive , bonus cash etc. All prices are plus tax, tags and 599.50 dealer admin feE. Battleground Kia is offering up the Triads Best Value with our 3 month & 3,000 miles Warranty on all of our Pre-Owned Vehicles.Recent Arrival! CARFAX One-Owner.Carfax Certified, BLUETOOTH, MP3, Manager's Special!, 2016 Jeep Grand Cherokee, Extended Warranty Available.2016 Jeep Grand Cherokee Laredo Bright White Clearcoat Odometer is 640 miles below market average!Our mission is to present Internet Value Pricing to all of our customers. We guarantee the lowest prices in NC on all new Kias! Buy your new Kia with confidence from a Kia President's Award winner! We have the Carolina's largest Kia selection and the best customer service! Check out our 4.7 Google rating to see what our customers have to say about our easy purchase process! Internet Value Pricing is achieved by polling over 2k websites hourly. This ensures that every one of our customers receives real-time Internet Value Pricing on every vehicle we sell. We do not artificially inflate our prices. We do not play pricing games. After being in business for many years, we realize that Internet Value Pricing is by far the best approach for our customers. * GREENSBORO'S USED CAR VOLUME LEADER * BATTLEGROUND KIA is the Carolina's low price leader! We Want your trade-in! Before you sell your trade-in to www.carmax.com or list it for sale on www.autotrader.com or www.ebay.com, call one of our internet managers for an online trade evaluation at 1-877-751-6303 we will pay you $300.00 more than CarMax. We are conveniently located at 2927 Battleground Ave. Greensboro N.C. 27408. All prices are after all incentives from Kia included to but not limited to: military, college grad ,customer loyalty ,competitive , bonus cash etc. All prices are plus tax, tags and 599.50 dealer admin feE. Battleground Kia is offering up the Triads Best Value with our 3 month & 3,000 miles Warranty on all of our Pre-Owned Vehicles.Recent Arrival! CARFAX One-Owner. Clean CARFAX.LEATHER, SUNROOF / MOONROOF, GPS / NAVIGATION, !!! Kia Certified! 10Year/100k Mile Warranty !! !, CARFAX ONE OWNER, BLUETOOTH, MP3, Manager's Special!, 2016 Kia Sorento, Extended Warranty Available.2016 Kia Sorento SX Ebony BlackAwards:* 2016 KBB.com 10 Best SUVs Under $25,000Our mission is to present Internet Value Pricing to all of our customers. We guarantee the lowest prices in NC on all new Kias! Buy your new Kia with confidence from a Kia President's Award winner! We have the Carolina's largest Kia selection and the best customer service! Check out our 4.7 Google rating to see what our customers have to say about our easy purchase process! Internet Value Pricing is achieved by polling over 2k websites hourly. This ensures that every one of our customers receives real-time Internet Value Pricing on every vehicle we sell. We do not artificially inflate our prices. We do not play pricing games. After being in business for many years, we realize that Internet Value Pricing is by far the best approach for our customers. * GREENSBORO'S USED CAR VOLUME LEADER * BATTLEGROUND KIA is the Carolina's low price leader! We Want your trade-in! Before you sell your trade-in to www.carmax.com or list it for sale on www.autotrader.com or www.ebay.com, call one of our internet managers for an online trade evaluation at 1-877-751-6303 we will pay you $300.00 more than CarMax. We are conveniently located at 2927 Battleground Ave. Greensboro N.C. 27408. All prices are after all incentives from Kia included to but not limited to: military, college grad ,customer loyalty ,competitive , bonus cash etc. All prices are plus tax, tags and 599.50 dealer admin feE. Battleground Kia is offering up the Triads Best Value with our 3 month & 3,000 miles Warranty on all of our Pre-Owned Vehicles.CARFAX One-Owner. Clean CARFAX.LEATHER, SUNROOF / MOONROOF, GPS / NAVIGATION, !!! Kia Certified! 10Year/100k Mile Warranty !! !, CARFAX ONE OWNER, 3rd Row Seat / THIRD ROW / 7 Seat Option, BLUETOOTH, MP3, Manager's Special!, 2016 Kia Sorento, Extended Warranty Available.2016 Kia Sorento SX Snow White PearlAwards:* 2016 KBB.com 10 Best SUVs Under $25,000Our mission is to present Internet Value Pricing to all of our customers. We guarantee the lowest prices in NC on all new Kias! Buy your new Kia with confidence from a Kia President's Award winner! We have the Carolina's largest Kia selection and the best customer service! Check out our 4.7 Google rating to see what our customers have to say about our easy purchase process! Internet Value Pricing is achieved by polling over 2k websites hourly. This ensures that every one of our customers receives real-time Internet Value Pricing on every vehicle we sell. We do not artificially inflate our prices. We do not play pricing games. After being in business for many years, we realize that Internet Value Pricing is by far the best approach for our customers. * GREENSBORO'S USED CAR VOLUME LEADER * BATTLEGROUND KIA is the Carolina's low price leader! We Want your trade-in! Before you sell your trade-in to www.carmax.com or list it for sale on www.autotrader.com or www.ebay.com, call one of our internet managers for an online trade evaluation at 1-877-751-6303 we will pay you $300.00 more than CarMax. We are conveniently located at 2927 Battleground Ave. Greensboro N.C. 27408. All prices are after all incentives from Kia included to but not limited to: military, college grad ,customer loyalty ,competitive , bonus cash etc. All prices are plus tax, tags and 599.50 dealer admin feE. Battleground Kia is offering up the Triads Best Value with our 3 month & 3,000 miles Warranty on all of our Pre-Owned Vehicles.CARFAX One-Owner.Priced below KBB Fair Purchase Price! Carfax Certified, BLUETOOTH, MP3, Manager's Special!, 2016 Dodge Challenger, Extended Warranty Available.2016 Dodge Challenger R/T Bright White Clearcoat Odometer is 4341 miles below market average!Our mission is to present Internet Value Pricing to all of our customers. We guarantee the lowest prices in NC on all new Kias! Buy your new Kia with confidence from a Kia President's Award winner! We have the Carolina's largest Kia selection and the best customer service! Check out our 4.7 Google rating to see what our customers have to say about our easy purchase process! Internet Value Pricing is achieved by polling over 2k websites hourly. This ensures that every one of our customers receives real-time Internet Value Pricing on every vehicle we sell. We do not artificially inflate our prices. We do not play pricing games. After being in business for many years, we realize that Internet Value Pricing is by far the best approach for our customers. * GREENSBORO'S USED CAR VOLUME LEADER * BATTLEGROUND KIA is the Carolina's low price leader! We Want your trade-in! Before you sell your trade-in to www.carmax.com or list it for sale on www.autotrader.com or www.ebay.com, call one of our internet managers for an online trade evaluation at 1-877-751-6303 we will pay you $300.00 more than CarMax. We are conveniently located at 2927 Battleground Ave. Greensboro N.C. 27408. All prices are after all incentives from Kia included to but not limited to: military, college grad ,customer loyalty ,competitive , bonus cash etc. All prices are plus tax, tags and 599.50 dealer admin feE. Battleground Kia is offering up the Triads Best Value with our 3 month & 3,000 miles Warranty on all of our Pre-Owned Vehicles.Clean CARFAX.LEATHER, SUNROOF / MOONROOF, GPS / NAVIGATION, Carfax Certified, BLUETOOTH, MP3, ABS brakes, Compass, Electronic Stability Control, Front dual zone A/C, Heated & Cooled Front Bucket Seats, Heated door mirrors, Heated front seats, Heated rear seats, Illuminated entry, Low tire pressure warning, Navigation System, Power Liftgate, Remote keyless entry, Traction control.2015 Nissan Murano Platinum Magnetic Black Metallic 21/28 City/Highway MPGOur mission is to present Internet Value Pricing to all of our customers. We guarantee the lowest prices in NC on all new Kias! Buy your new Kia with confidence from a Kia President's Award winner! We have the Carolina's largest Kia selection and the best customer service! Check out our 4.7 Google rating to see what our customers have to say about our easy purchase process! Internet Value Pricing is achieved by polling over 2k websites hourly. This ensures that every one of our customers receives real-time Internet Value Pricing on every vehicle we sell. We do not artificially inflate our prices. We do not play pricing games. After being in business for many years, we realize that Internet Value Pricing is by far the best approach for our customers. * GREENSBORO'S USED CAR VOLUME LEADER * BATTLEGROUND KIA is the Carolina's low price leader! We Want your trade-in! Before you sell your trade-in to www.carmax.com or list it for sale on www.autotrader.com or www.ebay.com, call one of our internet managers for an online trade evaluation at 1-877-751-6303 we will pay you $300.00 more than CarMax. We are conveniently located at 2927 Battleground Ave. Greensboro N.C. 27408. All prices are after all incentives from Kia included to but not limited to: military, college grad ,customer loyalty ,competitive , bonus cash etc. All prices are plus tax, tags and 599.50 dealer admin feE.